Although this idea is not very widely held, you must understand that science, religion and art cannot be dissociated, because in nature they are already linked. So it was a big mistake for humans to separate them, which they did even to the extent of causing conflicts between them. As long as they keep them apart, something will be missing in their understanding of life. Science, religion and art form a whole that allows humans to develop in fullness. The mind needs science. The heart needs religion. The will needs art, so as to express something, to create and build. And these three needs are closely connected in humans, who think something, then feel it and finally act on it. It sounds like a mysterious word cooked up by airy fairy type of people. But more and more people are talking about being Holistic. What does it mean? What is Holistic? Holism derives from the Greek work holos meaning whole. The art of healing has a history even more ancient and rich than man can remember. Universal Laws were the code these ancient Physicians followed. All ancient healers understood that you cannot treat the body alone, that there is a link between the body and mind. Each healer‐physician was considered to be a healer‐teacher‐priest. As humanity became increasingly sophisticated, the mind, spirit and body were considered to be separate. We now have a teacher that teaches (mind); the physician treats symptoms (body; the psychiatrist treats the emotions (soul); the priest/minister to develop the spirit. This separatist approach does not work. For complete healing to take place, we need to understand that illness / dis‐ease exists first in the mind and emotions, sometimes even spirit, before it manifests in the body. It is essential that we examine the WHOLE PERSON, treat the cause and not just the symptom. Today this is what Holistic Healing is all about. It is both Whole and Holy. Various healing modalities play an invaluable role in Holistic healing because of their capacity to affect every level of vibration as well as every aspect of a person, whether mental, physical, emotional or spiritual. Every part of us connects to every other part. If the lines get crossed, or the battery runs down, energy cannot flow. This creates disease, or a block or barrier, which Holistic Healing energy is able to pulse through and break down. Holistic Healing techniques will possibly become the surgical instruments of the future because of their capacity to penetrate both physique and psyche. Today there are literally hundreds of both alternative and traditional medical methods of healing. Come and visit us at our next Holistic Fayre in Bothasig or browse through this website and meet some of our holistic therapists. 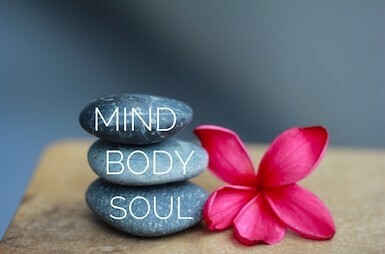 In a nut shell, Holistic means Healing the Body, Mind, Soul and Spirit.